It’s the holy grail of mountain riding. When the white stuff falls from the sky and the hills get blanketed in deep pow everyone in town basically loses their mind. A pow day when done right can be life-changing, but done wrong it can leave you frustrated, sweaty, and wondering what is wrong with all these mountain people. Want to do it right? Excellent. 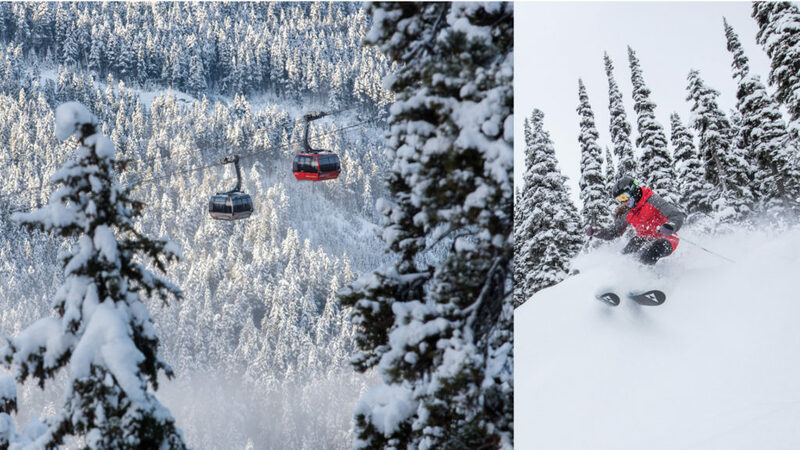 Read on and I will show you the wisdom of taking a lesson on a pow day. It’s pretty rare to find a friend that will stick with you when learning to ride pow. If you do find someone who will stick it out with you, it will kill them a little inside to miss out on all those fresh lines. With a lesson you can take your time learning with no stress on your friendships. 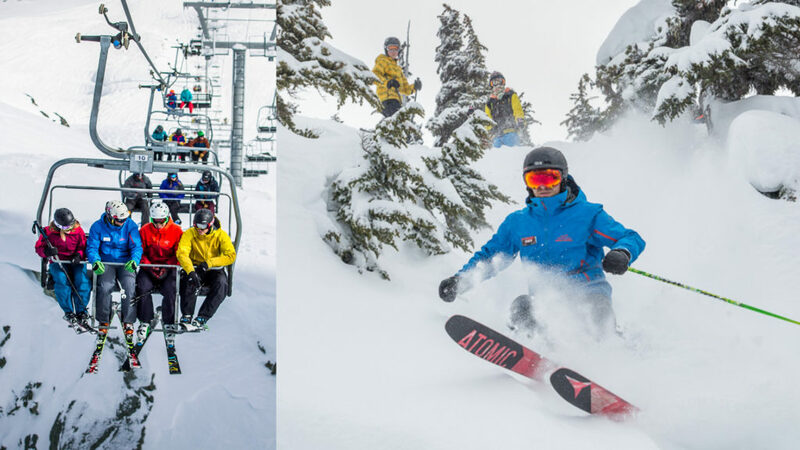 Meet up at après and you can swap stories of your epic day. 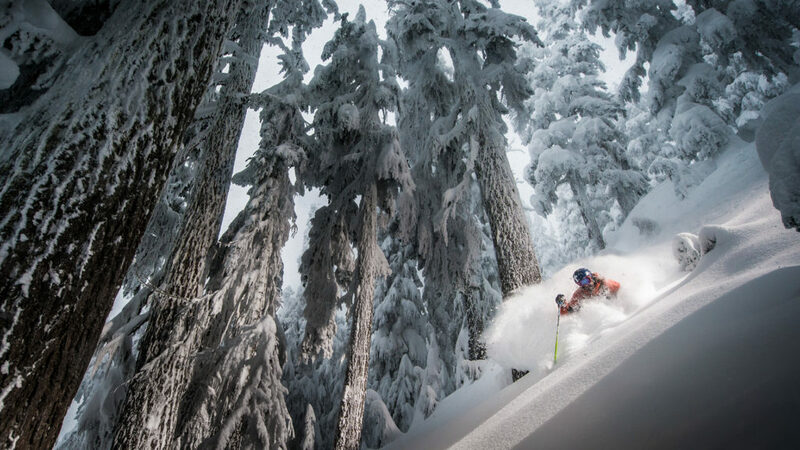 Floating down fresh pow is one of the best feelings in the world. On the other hand, constantly getting stuck is one of the worst. Save yourself a headache and get some pro tips on keeping those tips up. Ever wonder why the locals look like they are having the best day ever? Local knowledge goes a long way on a pow day. Unfortunately locals guard their secret stashes and don’t like to share. Instructors ride almost every day, and know all the nooks and crannies on the mountain. Spend a day with them and you will learn some sweet untracked spots to call your own. On a pow day the last thing you want is to be waiting in a big lineup. Each person in front of you is another track of fresh snow used up. 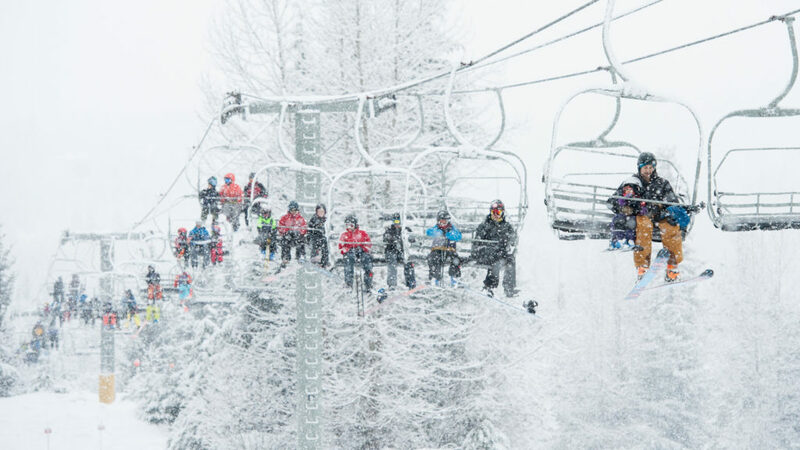 Lessons include lift-line priority so you get to jump to the front of the line on every lap.